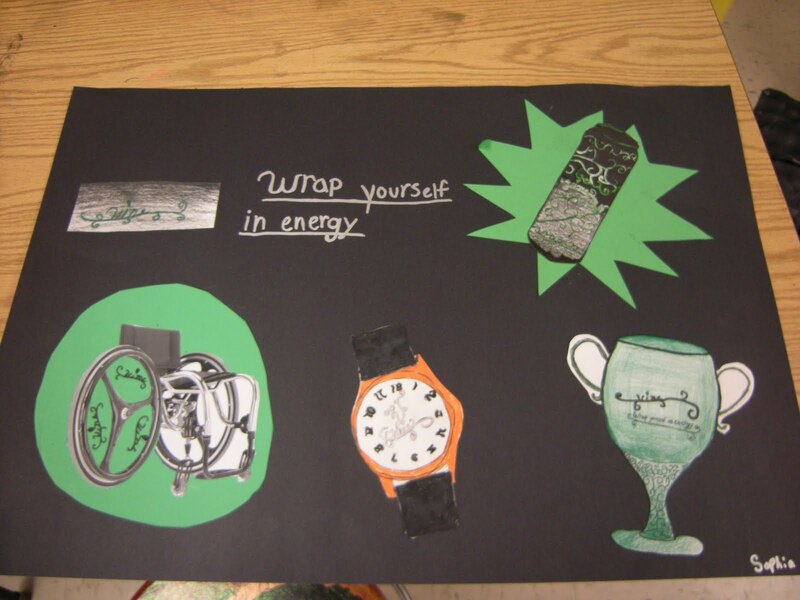 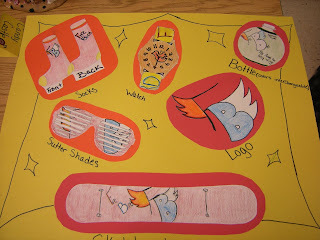 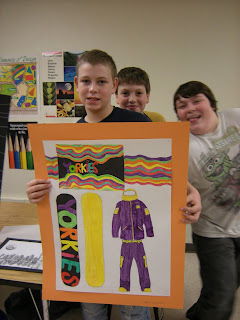 Middle school students loved creating a brand--they were required to design a bottle or can, something wearable, an event they would be sponsoring--something that would feature their brand for that event. 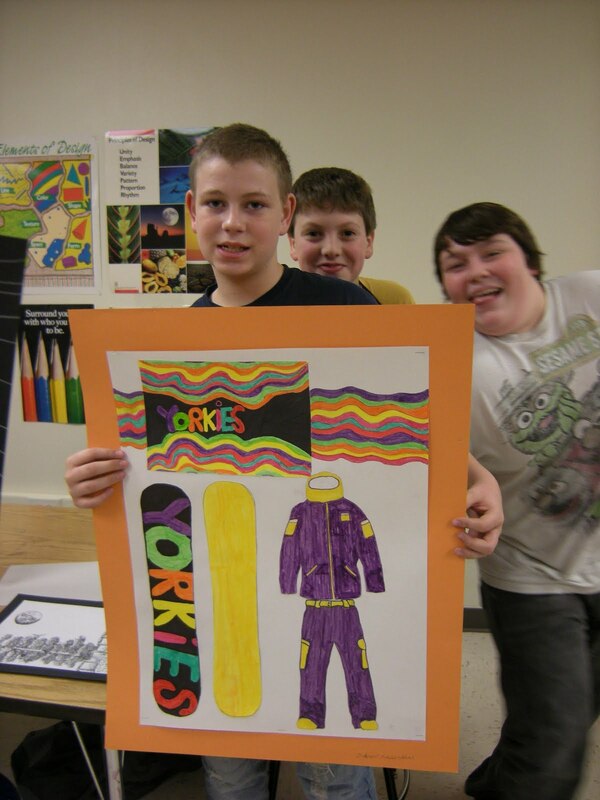 Thanks to Stephanie for the Snowboard design project. I have an overload so it has been great getting to have her at my school. 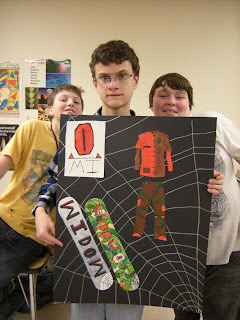 The students just ate up the idea of designing a board and gear to go with it.